Huperzine A is a substance extracted from a plant called Chinese club moss (Huperzia serrata). 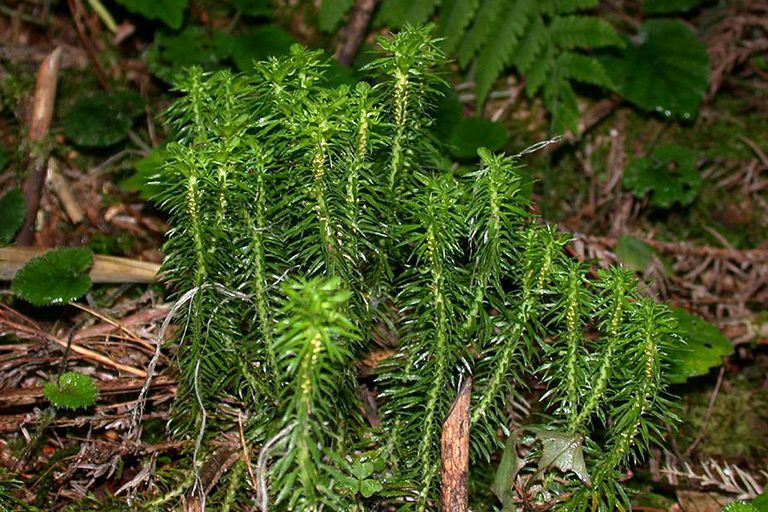 In traditional Chinese medicine, Chinese club moss has long been used to reduce inflammation and to sharpen memory. Sold as a dietary supplement, huperzine A is typically touted as a treatment for Alzheimer's disease. Used in alternative medicine, huperzine A has been found to act as a cholinesterase inhibitor, a type of medicine used to prevent the breakdown of acetylcholine (a chemical essential to learning and memory). Not just used as a treatment for Alzheimer's disease, huperzine A is also said to enhance learning and memory and to protect against age-related cognitive decline. In addition, huperzine A is sometimes used to boost energy, increase alertness, fight depression, and aid in the treatment of myasthenia gravis, an autoimmune disorder that affects the muscles. However, the research is limited. Huperzine A appears to be of some benefit to people with Alzheimer's disease, according to a 2013 research review published in PLoS One and a 2008 review published in Cochrane Database of Systematic Reviews. For both reviews, researchers searched for all randomized controlled trials on the efficacy and safety of huperzine A for Alzheimer's disease and concluded that huperzine A was more effective than placebo in terms of its effects on cognitive function, behavioral disturbance, and functional performance. However, a 2011 study published in Neurology in 2011), huperzine A failed to improve cognitive function in Alzheimer's patients. The study involved 210 people with mild to moderate Alzheimer's disease, each of whom received either huperzine A or a placebo for at least 16 weeks. In their analysis of the 177 participants who completed the study, researchers found that huperzine A did not have a significant effect on cognitive function. Very few studies have tested the use of huperzine A for memory enhancement. However, an older, small study published in the Chinese journal Acta Pharmacologica Sinica in 1999 found that huperzine A helped improve memory and learning in a group of adolescent students. For the study, 68 junior high students (all of whom complained of memory inadequacy) were given either huperzine A or a placebo every day for four weeks. By the study's end, members of the huperzine A group showed greater improvements in learning and memory (compared to members of the placebo group). More research is needed before huperzine A can be recommended for memory enhancement. Huperzine A may cause side effects including nausea, diarrhea, vomiting, dry mouth, constipation, sweating, blurred vision, slurred speech, fainting, restlessness, loss of appetite, contraction and twitching of muscle fibers, cramping, increased saliva and urine, inability to control urination, high blood pressure, swelling, dizziness, inability to sleep, and slowed heart rate. Little is known about the safety of taking huperzine A in the long term. There is some concern that the use of huperzine A may be harmful to people with certain health conditions, including kidney and/or liver disorders, heart disease, asthma, epilepsy, and vertigo. Huperzine A may interact with certain medications including cholinesterase inhibitors, beta-blockers, and anti-convulsive agents. Given these safety concerns, it's important to consult your physician if you're considering the use of huperzine A.
Huperzine A comes in tablets and capsules, and is an added ingredient in several combination supplements touted as memory enhancers. Does huperzine A raise blood pressure? Huperzine A may raise heart rate, and therefore may raise blood pressure. If you have hypertension, speak to your doctor before taking huperzine A. Will huperzine A improve my workout? Huperzine A is used in bodybuilding as a nootropic, meaning it boost focus. It is touted as a workout enhancer and included in several combination supplements. However, there is not enough supporting evidence to support this use. Due to a lack of supporting research, huperzine A cannot currently be recommended for treatment or prevention of any health problem. If you're considering the use of huperzine A supplements, consult your doctor before starting your supplement regime to weigh the risks, benefits, and appropriateness. It's important to note that self-treating Alzheimer's disease (or any other condition) with huperzine A and avoiding or delaying standard care may have serious health consequences. Sun QQ, Xu SS, et al. Huperzine-A capsules enhance memory and learning performance in 34 pairs of matched adolescent students. Zhongguo Yao Li Xue Bao. 1999 Jul;20(7):601-3.